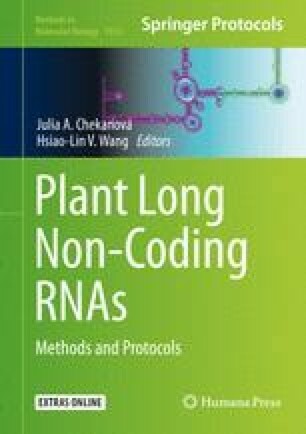 Regulation of plant transcriptional machinery has been recently demonstrated to be widely regulated by a class of long noncoding RNAs (lncRNAs) with size larger than 200 nt. The lncRNAs have been demonstrated to play key roles in abiotic stress. Taking into account the rapid pace in the development of the sequencing technologies, accelerated identification of lncRNAs with potential involvement in regulating the gene expression has been witnessed. Although progress has been made to identify the lncRNAs, however, accurate classification of the lncRNAs particularly in the case of plants is still challenging. In this protocol chapter, we present NAMS, which provides large-scale noncoding assessment of the lncRNAs specifically designed for Magnoliophyta species. We describe the approach and the usage of NAMS with potential applications for the lncRNA discovery. Gaurav Sablok and Kun Sun contributed equally to this chapter.